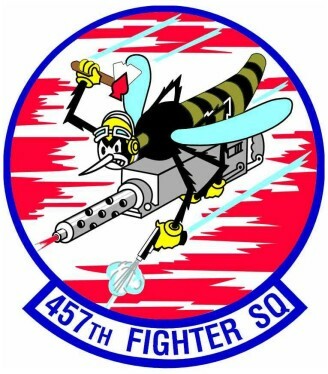 457th Fighter Squadron ” Spads” have the drill weekend and we were out in full force on this Sat morning in KNFW. We were greeted by 6 Spads taking off when we get to the base. This was followed by 3 ship and single ship F-16C . Weather was kind of gloomy in the morning but than it cleared up in the afternoon. All aircraft of the 1st sortie came straight in without any tac initial or option runs. We got a 2nd sortie on that day with about the same complement of F-16 at about 2pm. By the afternoon we are getting nice sunny day and Spads did their tac initial with F-16 banking right on top of us. This was followed by low key and High key maneuvers. Here are some of the Spads actions. Thanks to Andy’s advice we were all shooting slow speed panning shots on the F-16 taking off and landing. We get that silky smooth background. I was shooting hand held with my Canon 7d with the 150-600mm at speed of 1/100-1/160. The Expert Andy is shooting at 1/30. Now that is something to behold. We got some interesting visitors in the afternoon. This started with us deciding to head out to KAFW to see what they got and buying lunch at In and Out burger. With radio chatter about a possible AF-1 launch from Lockheed Martin, we decided to head back to KNFW. while savoring the tasty burgers, we were greeted with a long MV-22 from Moonlighters… He came straight in on 36 runway and landed on midfield. These MV22 is here to work with VMFA-112 on aerial refueling Exercise. This was followed by a NY Yankees Marines Reserve KC-130 transport. The star of the show came at about 1600hrs, we were packing and ready to head home after the 2nd sortie of Spads just landed. 2x F-16C from Florida swing into final and landed in the base. They are from the 93rd FS base in Homestead Reserve Base in Florida also known as Makos.